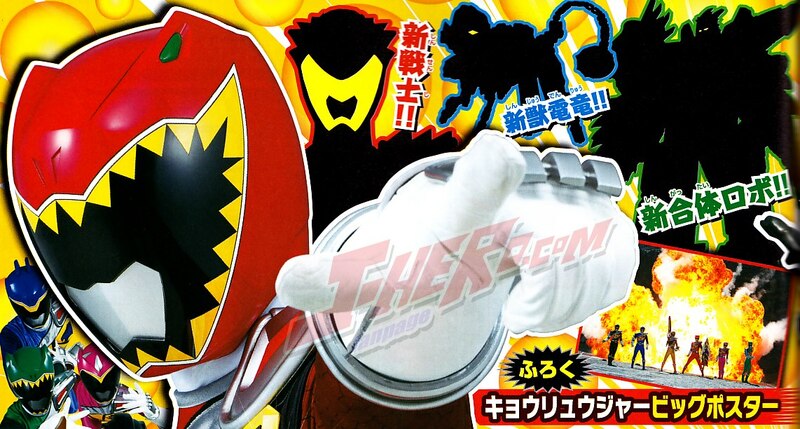 In the latest magazine scan showcases a teaser for the upcoming Zyudenryu Bunpachy and the 8th Kyoryuger. It has been touted that the debut of Bunpachy and its partner will between upcoming May to June episodes. 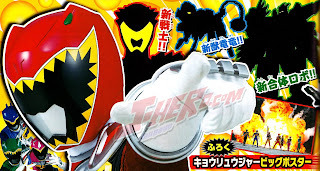 With this latest entry, when Gabutyra, Ankydon and Bunpachy combines, its forms into Kyoryuzin Kung-Fu. More details to be posted soon.